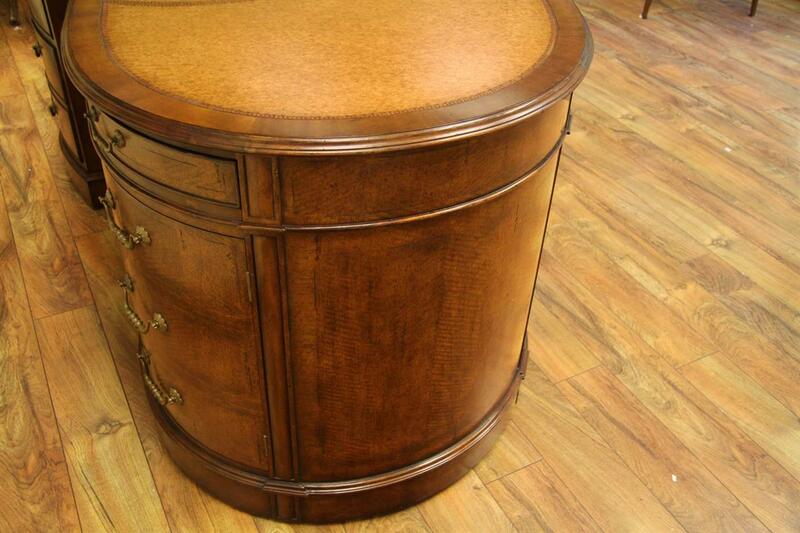 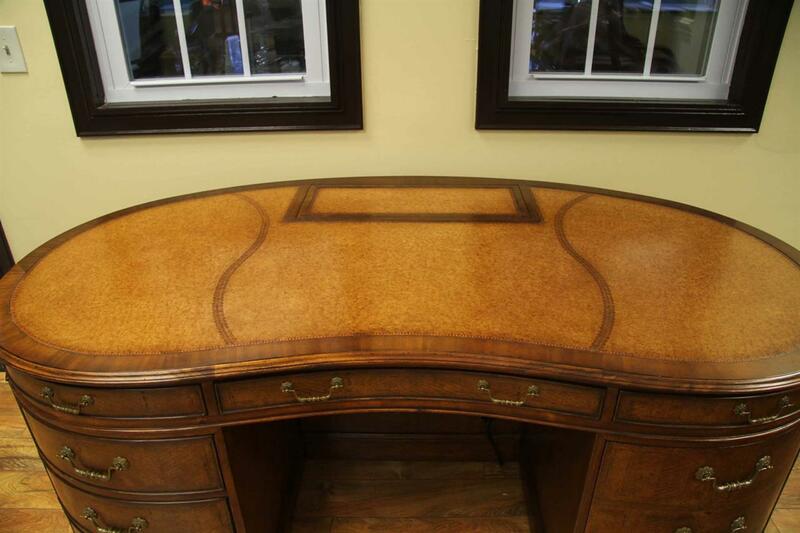 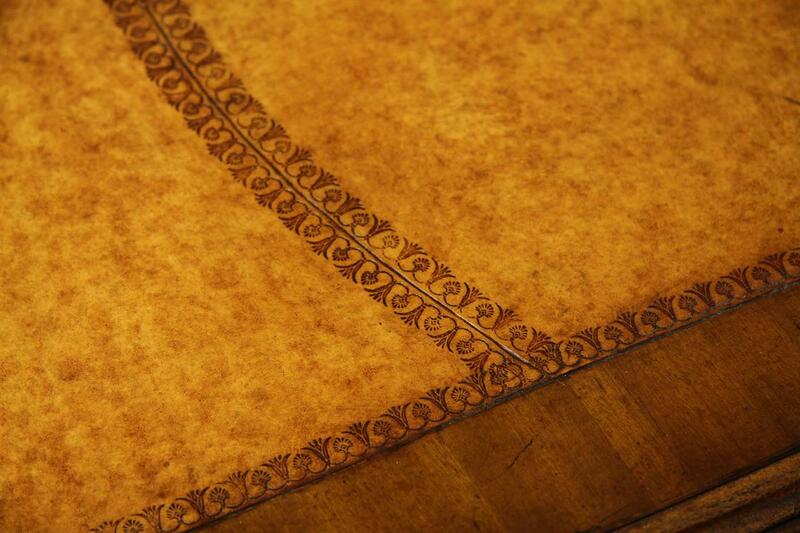 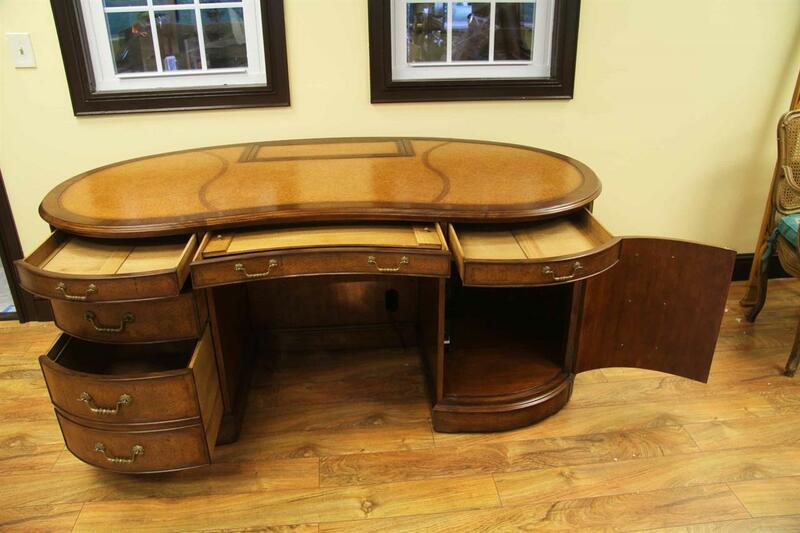 Description: Leather top kidney desk in a light brown or blone finish with walnut veneer. 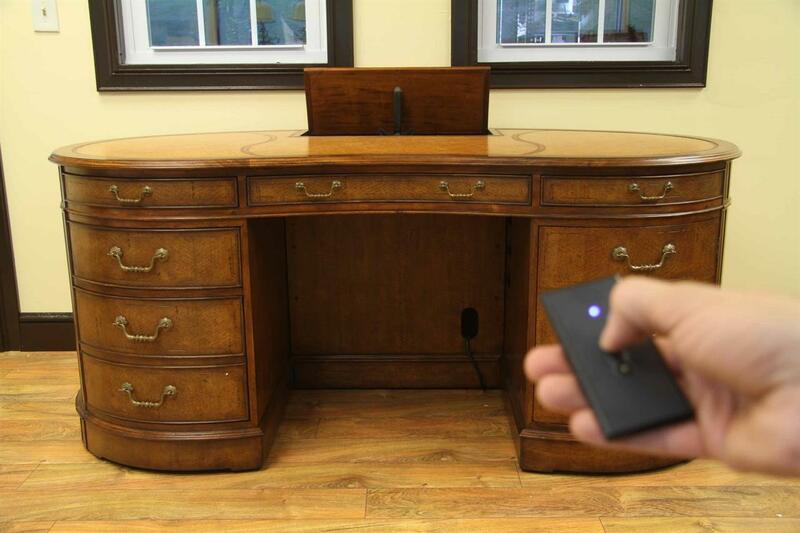 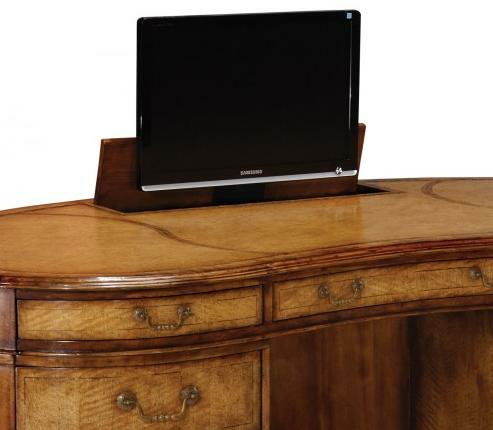 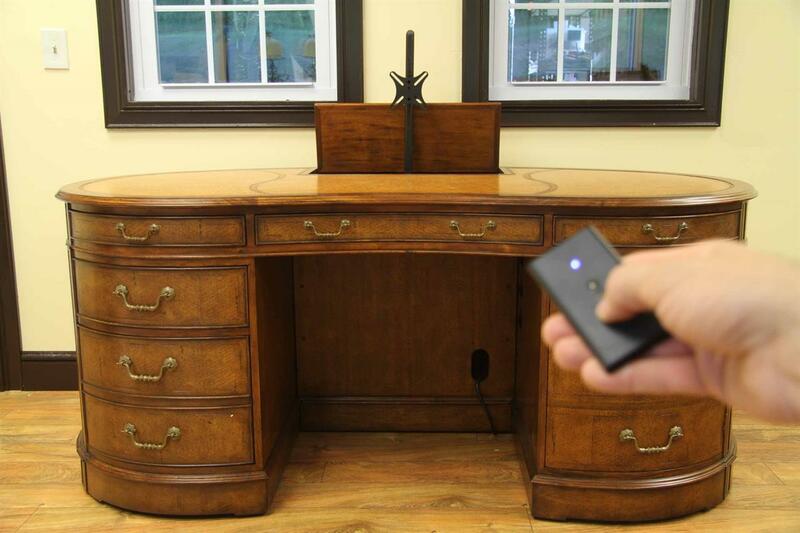 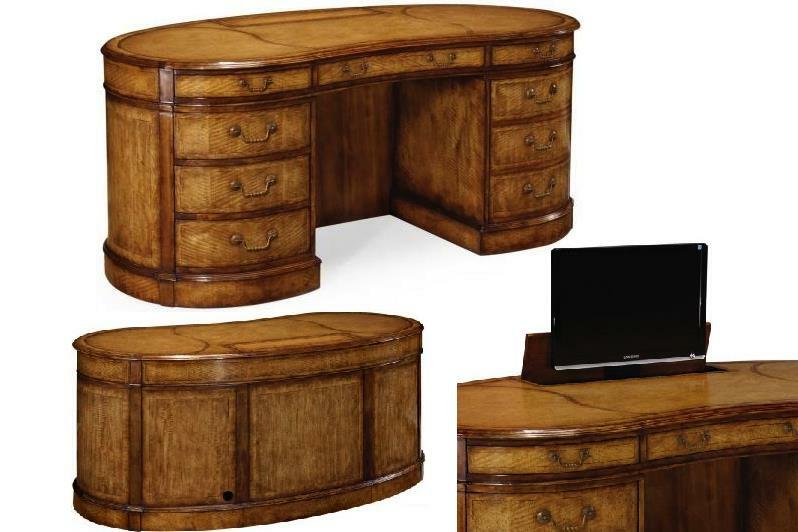 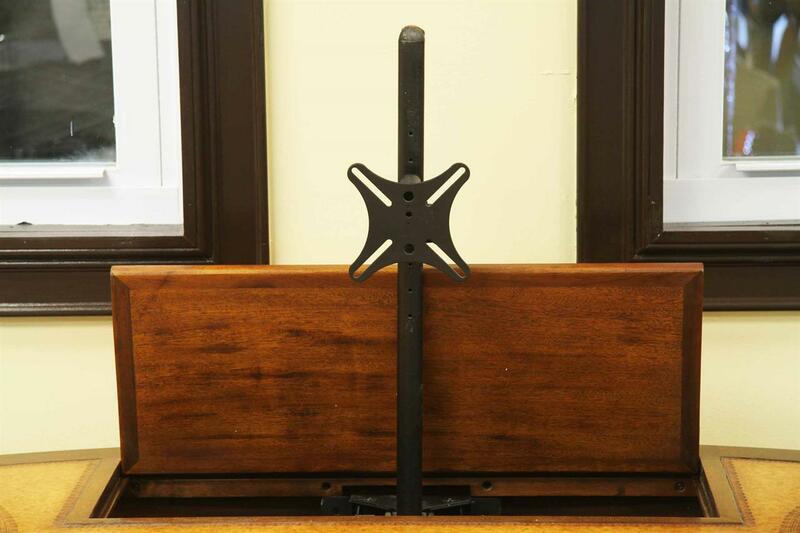 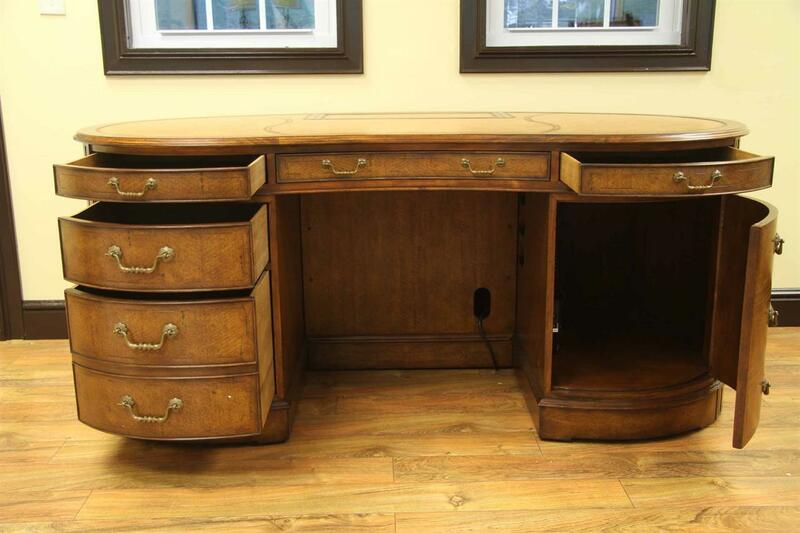 This walnut executive desk has a remote control monitor lift allowing for hidden storage of a monitor up to 22 inches and 30 lbs. 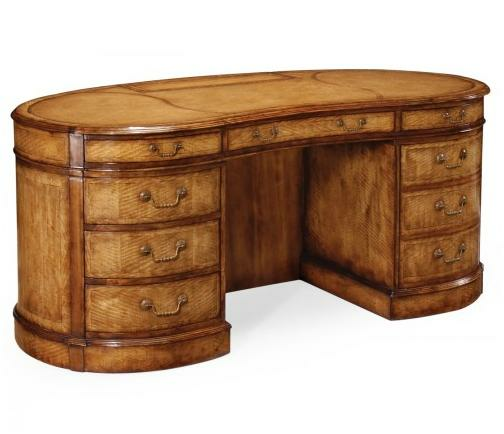 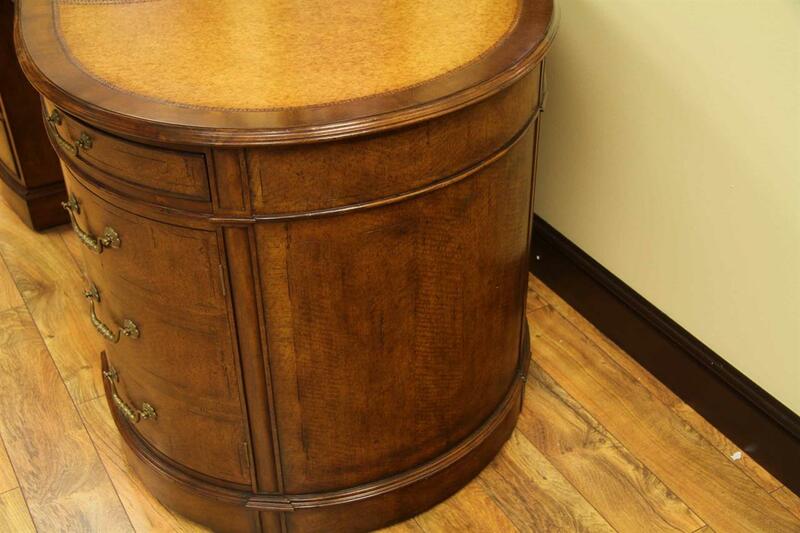 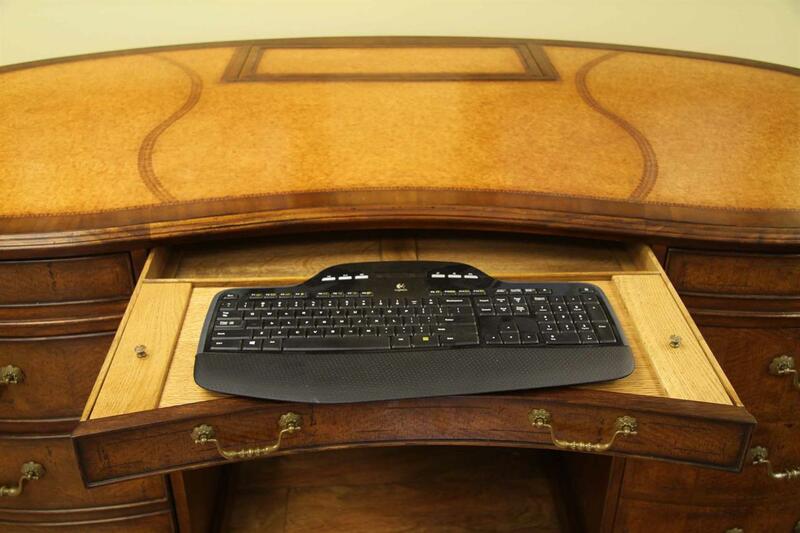 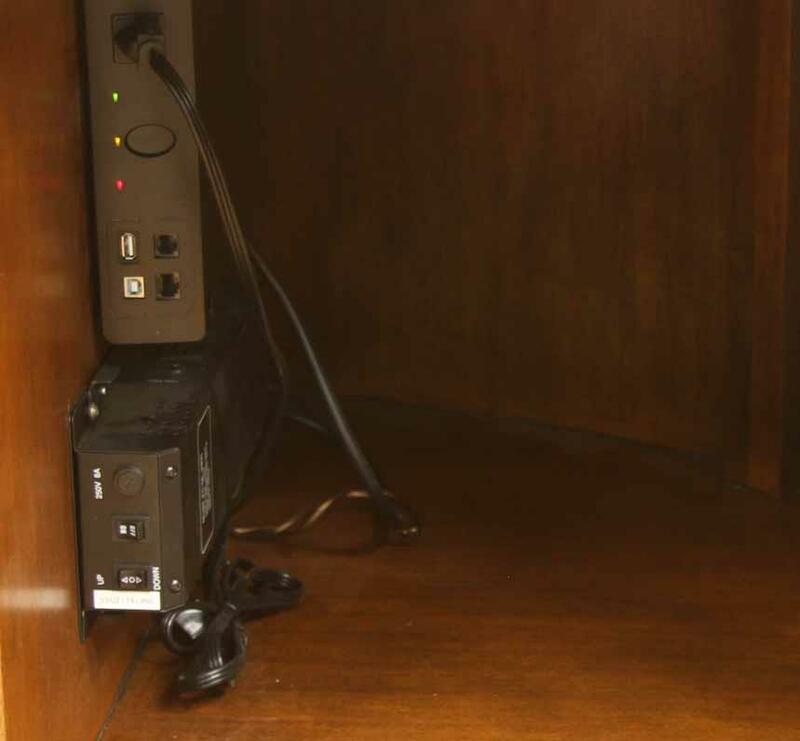 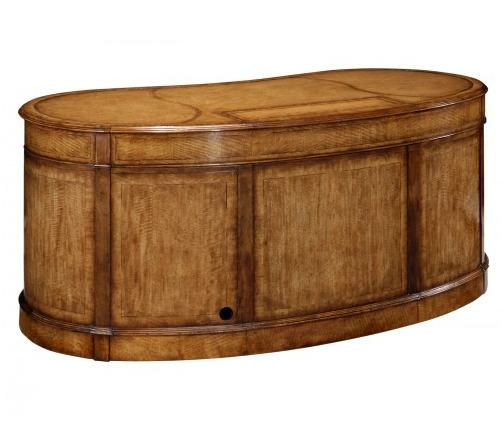 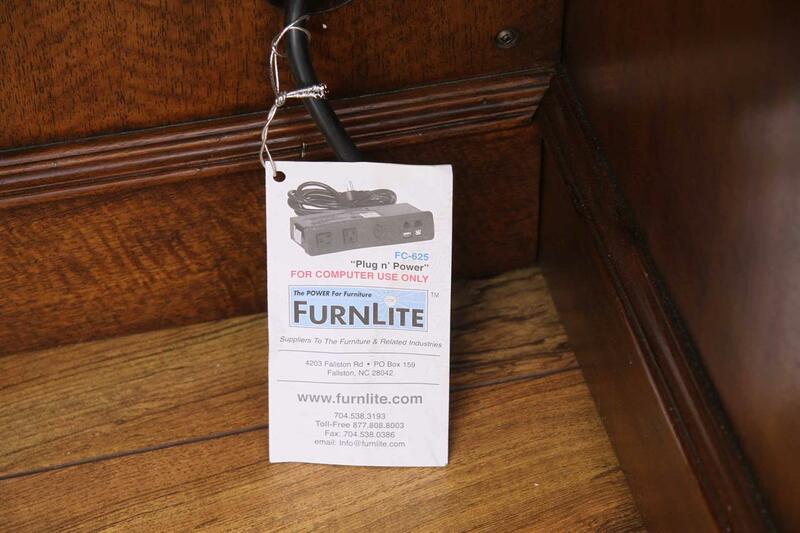 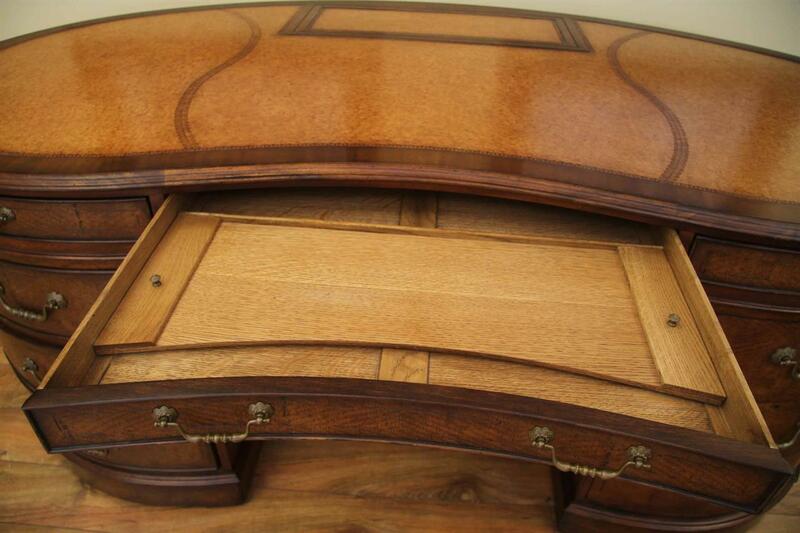 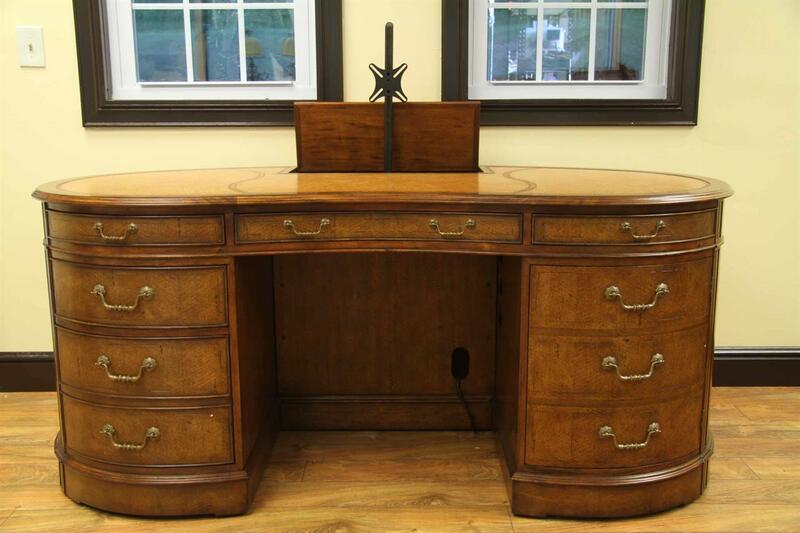 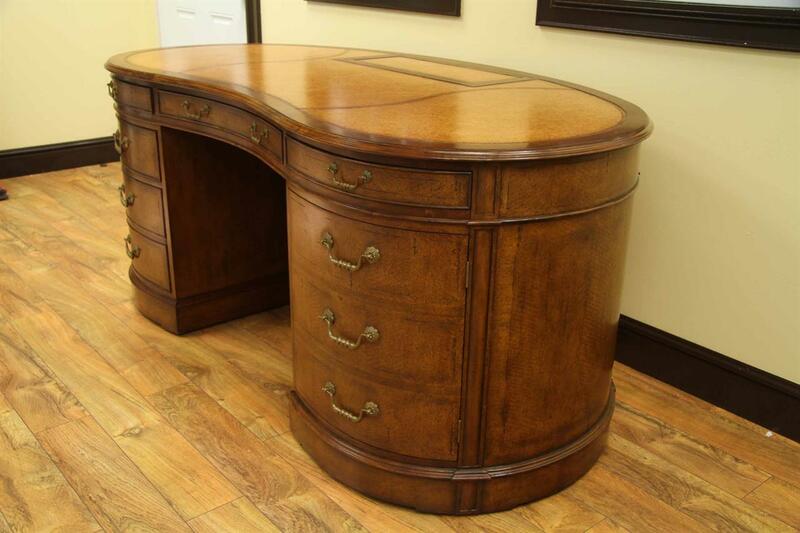 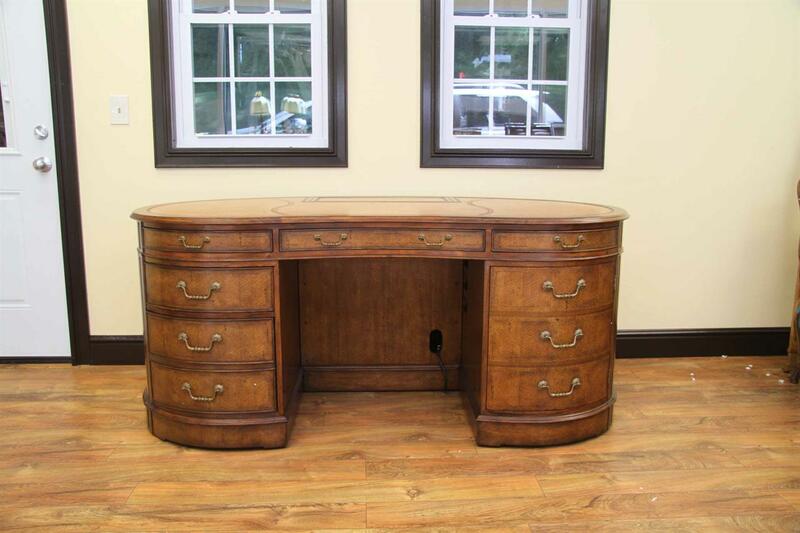 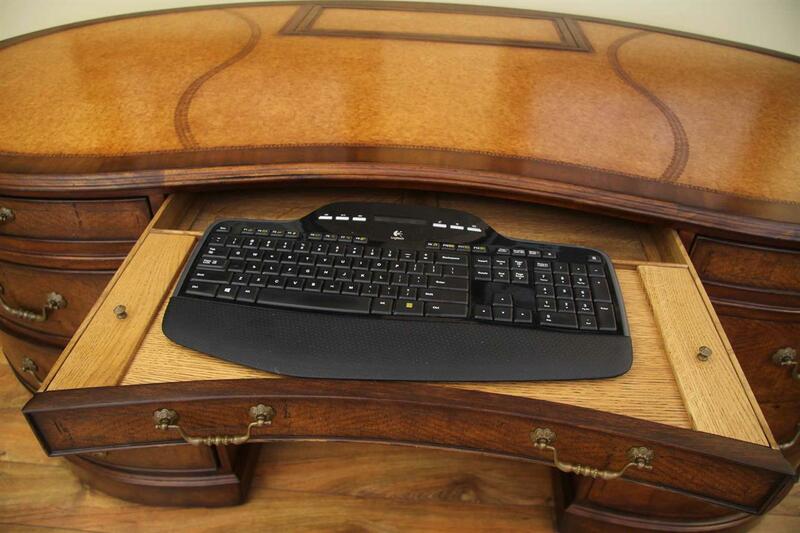 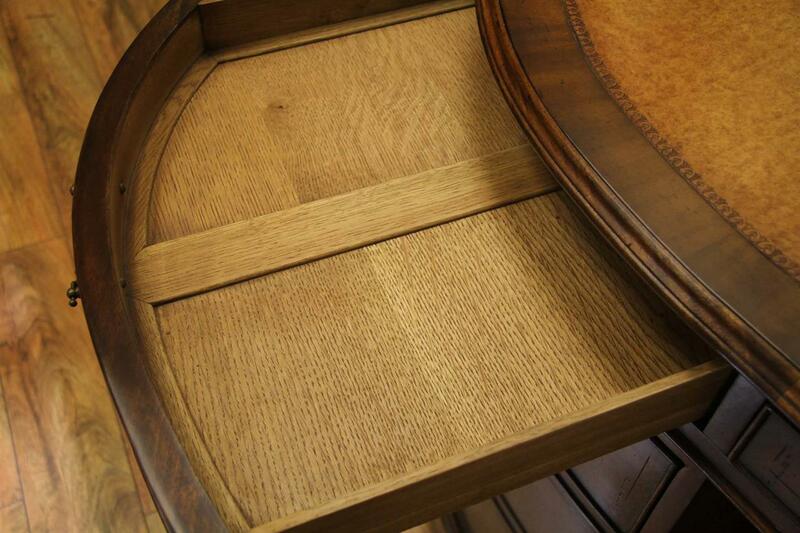 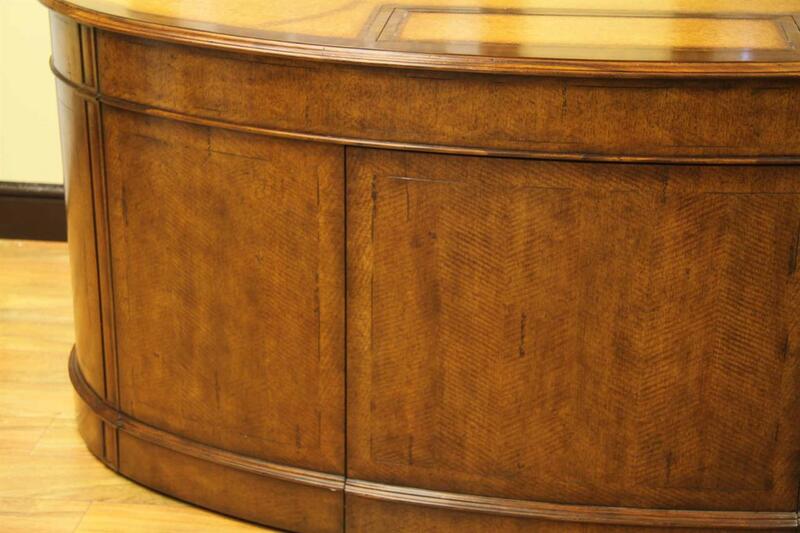 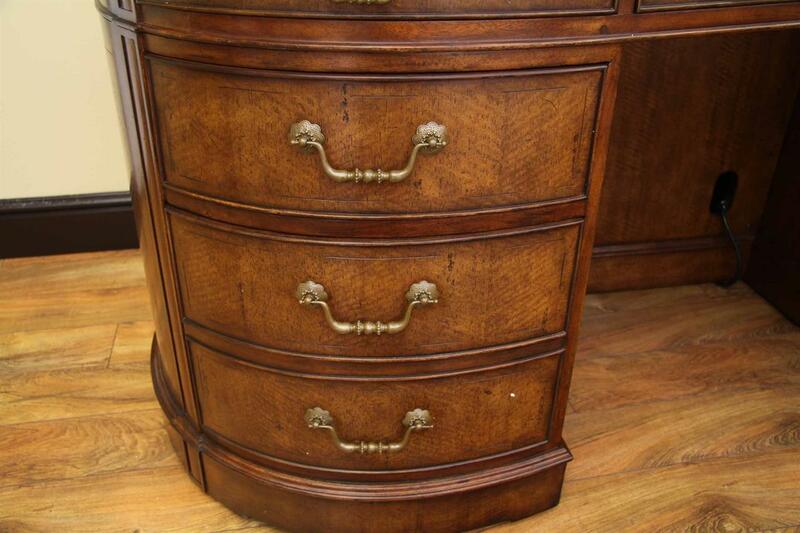 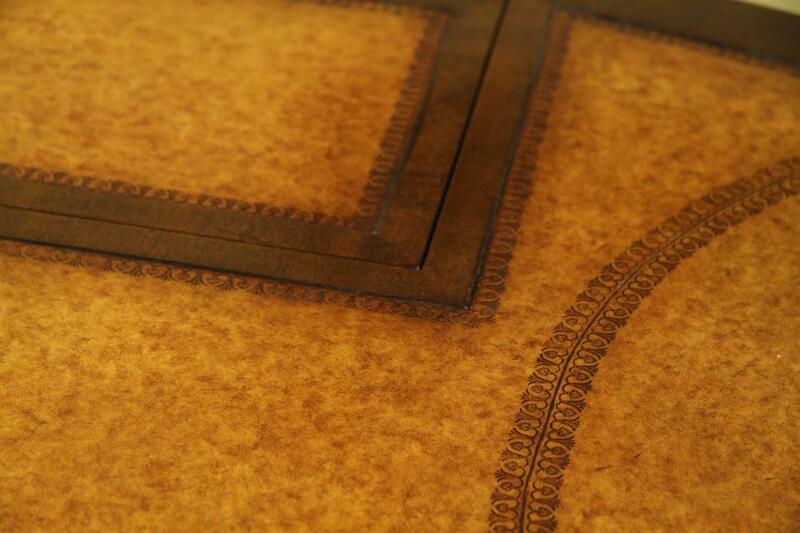 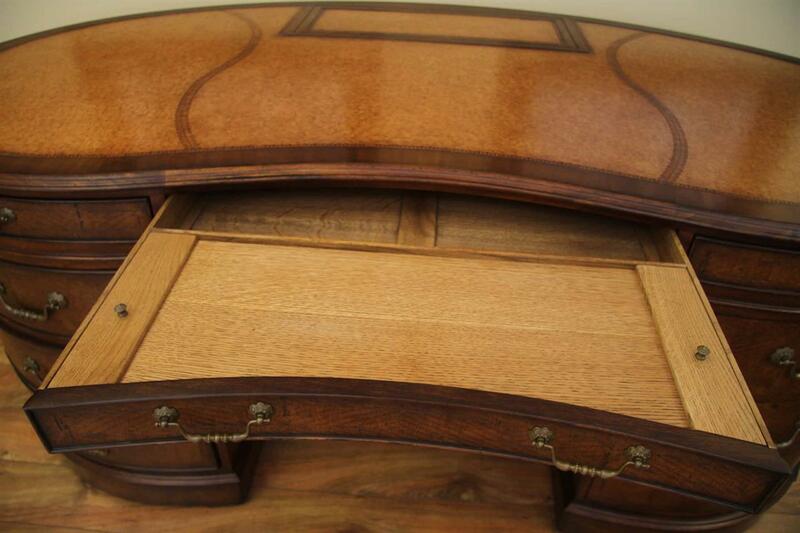 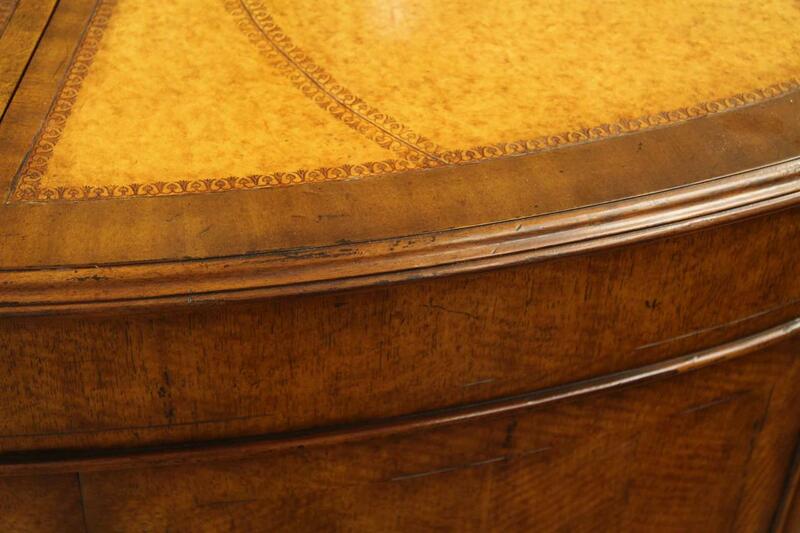 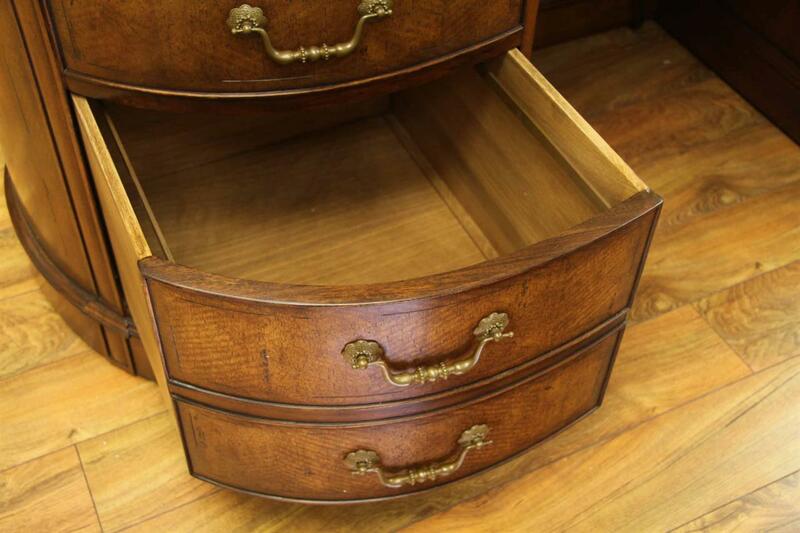 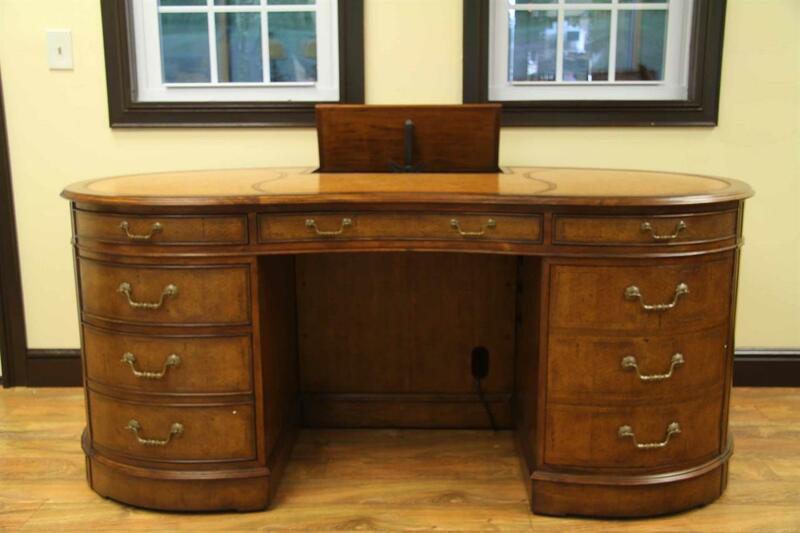 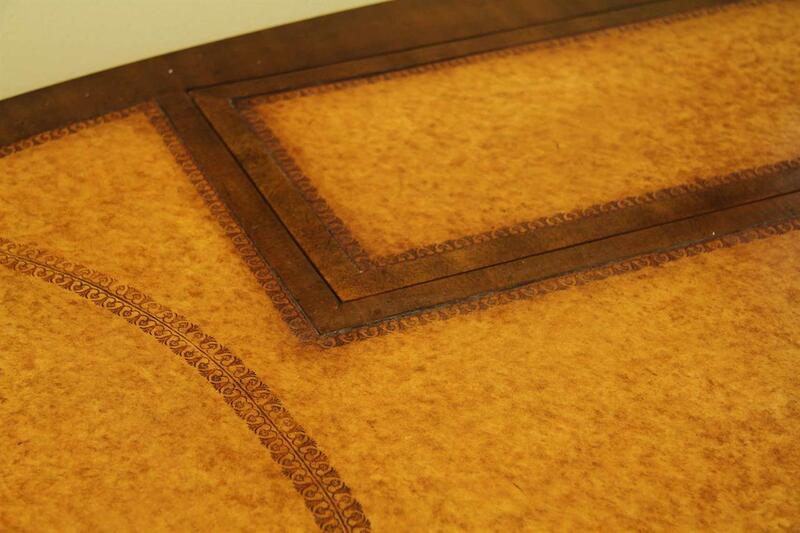 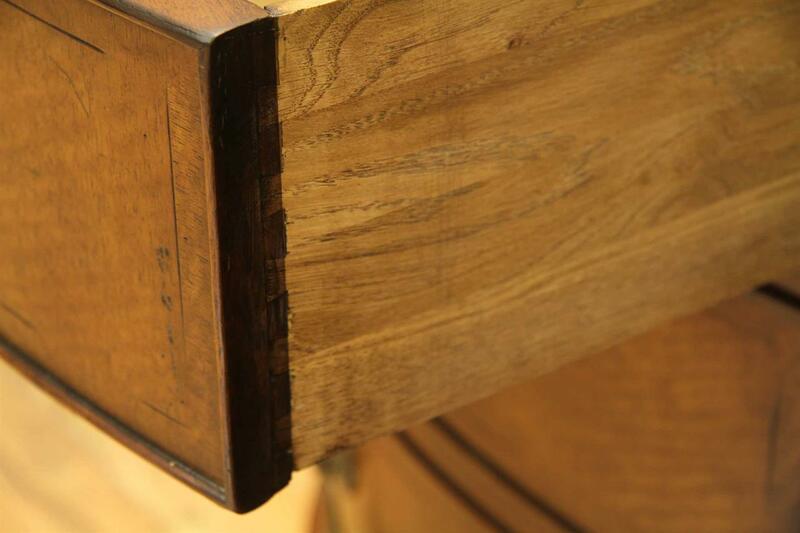 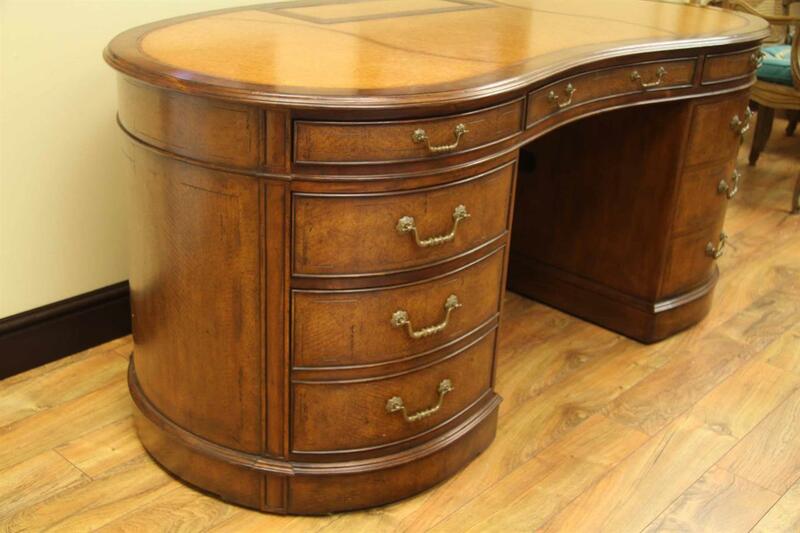 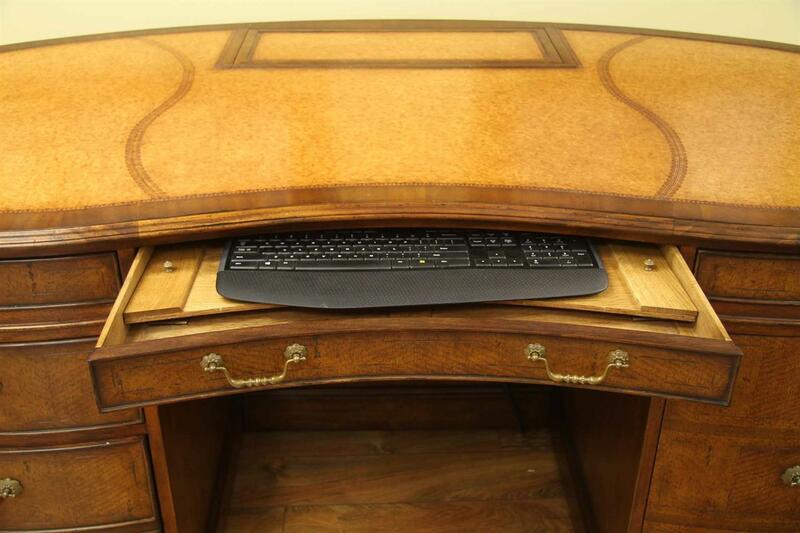 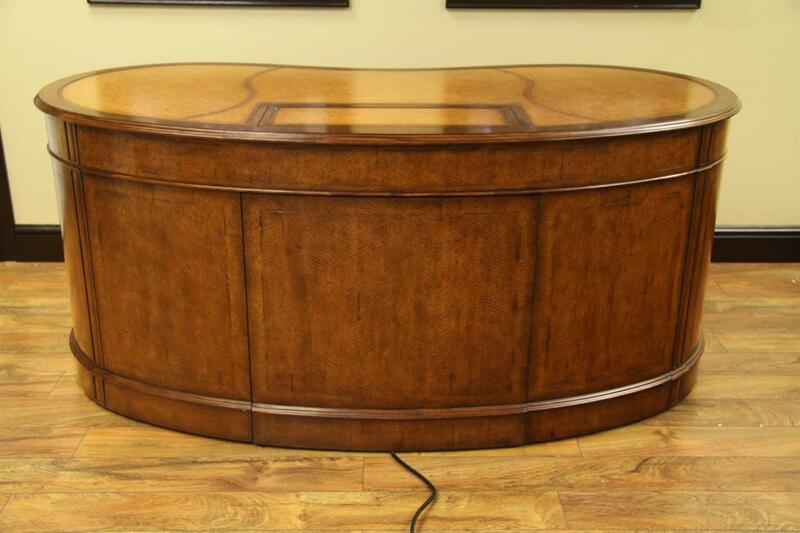 The pedestals of the leather top executive desk have 3 drawers on the left hand side and a cupboard to the right. 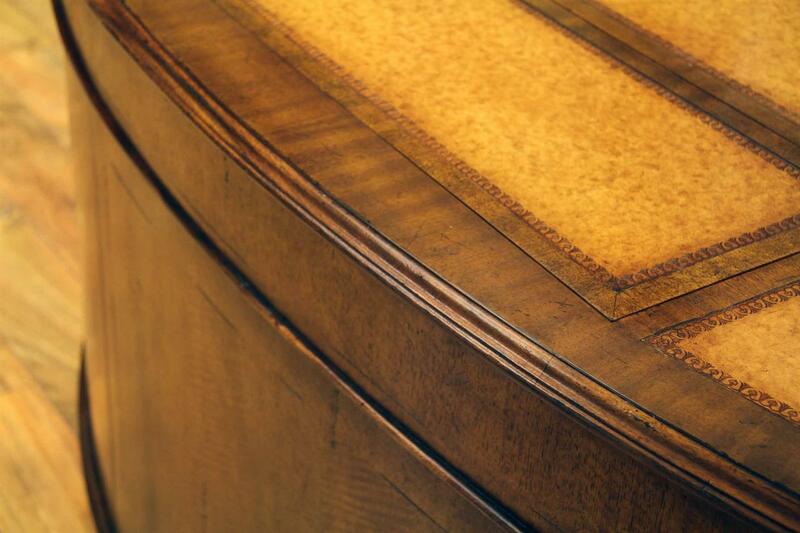 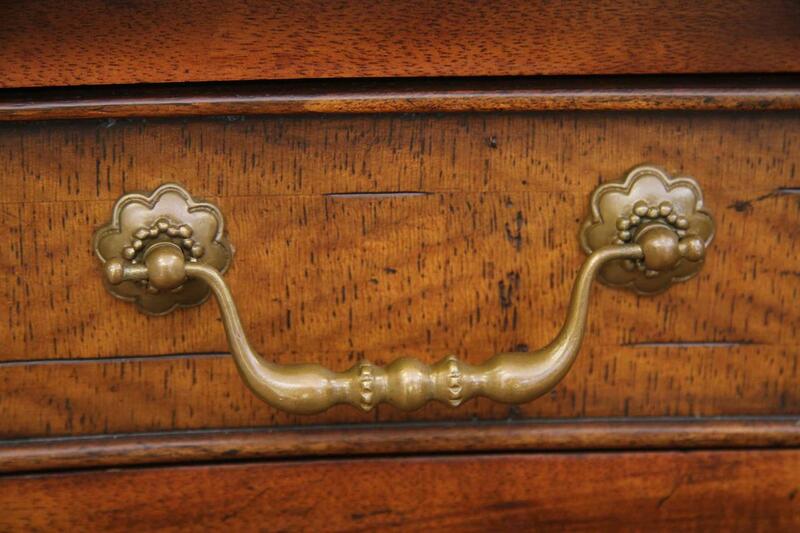 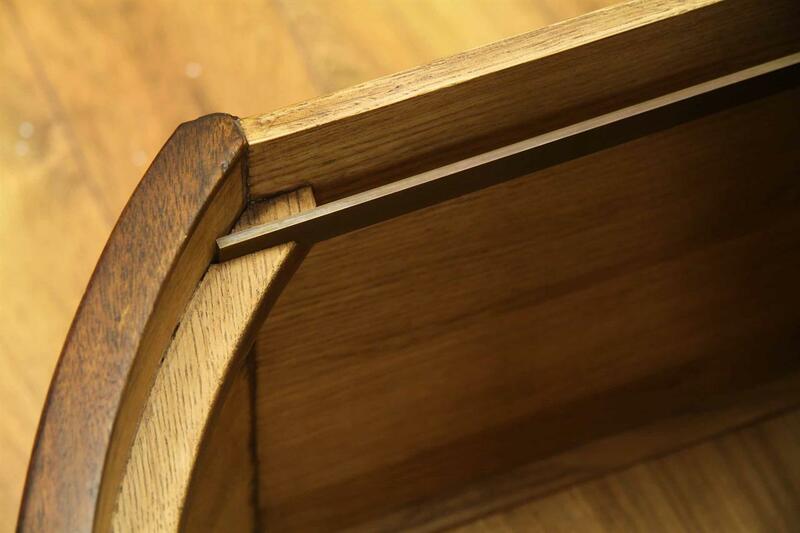 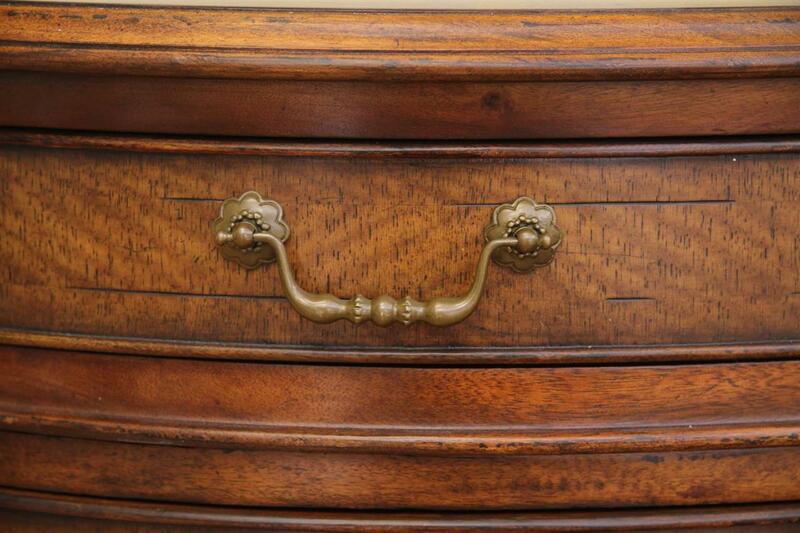 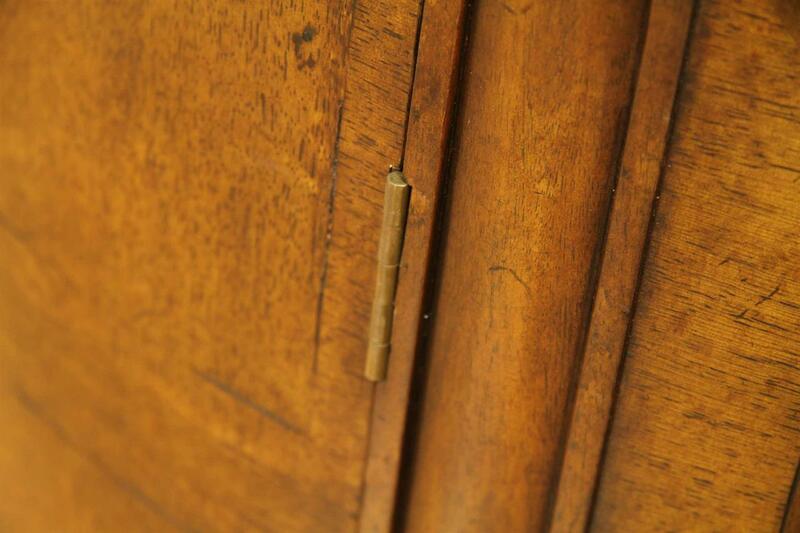 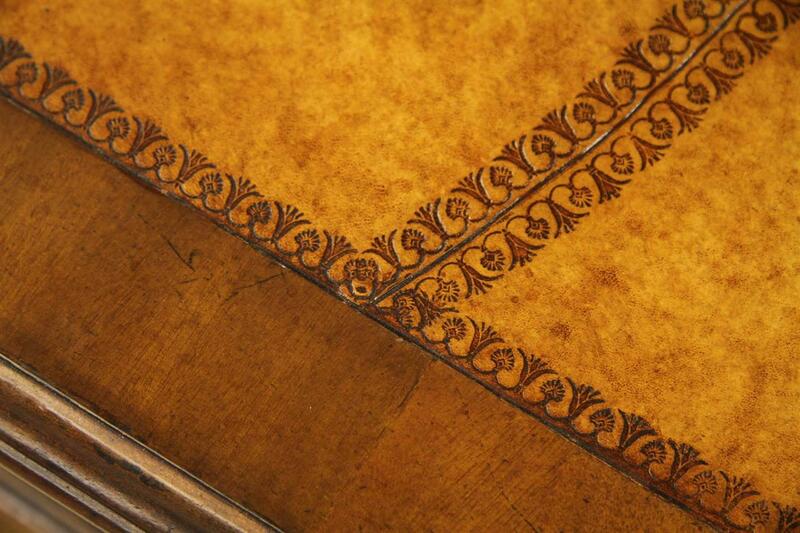 The desk panels and drawers have light inlay work and each drawer has a brass drop handle. 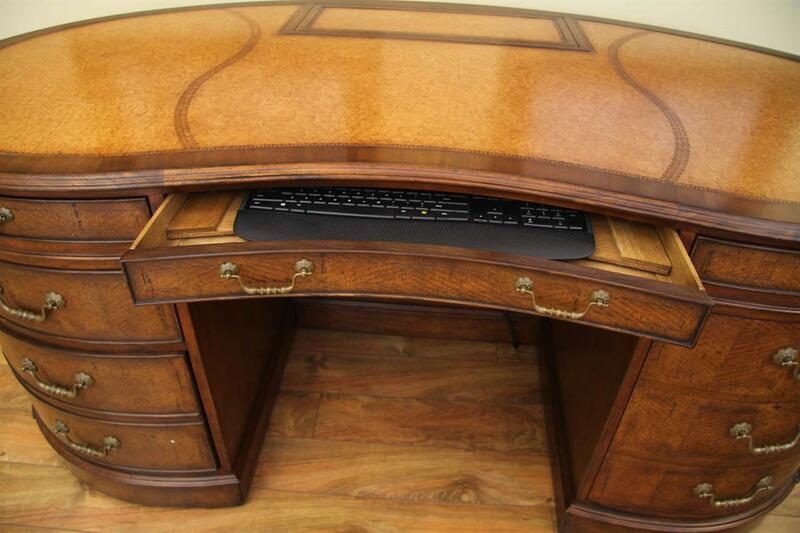 The kick plate or privacy panel makes this a great, unique executive desk for any luxury office.